The two top most scientific departments in India, the Department of Biotechnology (DBT) and Department of Science and Technology (DST) under the Ministry of Science and Technology had announced jointly the Open Access Policy on 12th December 2014. The departments are of the opinion that as the funds for research on science and technology are public funds, therefore, the “information and knowledge generated through the use of these funds are made publicly available as son as possible”. However it adds a foot note that information sharing is subject to the “Indian law and IP policies of respective funding agencies and institutions where the research is performed” and the institutions are encouraged to seek IP protection to the research outputs. As per the policy, all the research articles’s final accepted manuscripts (post-prints) resulting from the DBT/DST funds received from the fiscal year 2012-13 onwards are required to be deposited either in their respective institutional repositories or in the Ministry’s central repositories (dst.sciencecentral.in/ and dbt.sciencecentral.in/) and the harvester (sciencecentral.in) would harvest the full-text and metadata of the publications. The highlight of the DBT/DST Open Access policy is that while it recognizes “the right of researchers to publish their work in journals of their choice”, it states that “the intrinsic merit of the work, and not the title of the journal in which an author’s work is published, should be considered in making future funding decisions” and the DBT and DST do not recommend the use of journal impact factors either as a surrogate measure of the quality of individual research articles, to assess an individual scientist’s contributions, or in hiring,promotion, or funding decisions“. This above statements by DBT/DST shows that the departments are in agreement to the The San Francisco Declaration on Research Assessment (DORA) which “intends to halt the practice of correlating the journal impact factor to the merits of a specific scientist’s contributions“. 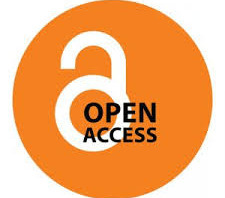 The Open Access India community is welcomes this Open Access policy and hopes that this step towards Open Access to public funded research would lead to development and adoption of National Open Access Mandate in India and also the policy adds into it all the research outputs (not limited to articles) and shares them freely for the public good. The first two proud Ambassadors of the Open Access India are Ms. Sri Amudha S., a full time PhD candidate in Dept. of Library and Information Science, Pondicherry University. and Mr. Sandeep Rawal, a PhD Scholar, Department of Agronomy, CCS Haryana Agricultural University, Hisar. 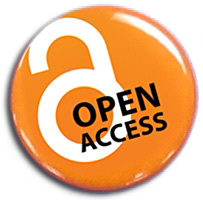 To take forward the Open Access movement in India and to build the momentum by involving all the stakeholders, the Open Access India had followed the foot steps of OKFN‘s Ambassador Scheme and the Max Planck Society‘s Open Access Ambassadors, and had given call for the Open Access India Ambassador Scheme. By this scheme, the Community would have a network of volunteers in India for advocating Open Access, Open Data and Open Education. More on how to apply Ambassador, please see the post and fill out the form here.